Hi friends! Welcome to the party. Thank you so much for stopping by to join us once again! I am so happy you chose to share your great talent with us. I hope you are all having a wonderful weekend. I am down to 5 days of school, and I am pretty excited about having a few months off. Not sure what happened to 3 months off for summer when I first started teaching. lol I am looking forward to the much needed break. 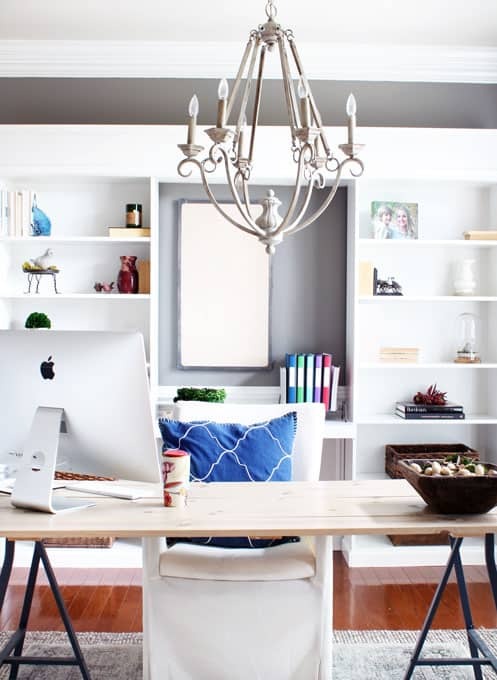 Life on Southpointe Drive shared her awesome cozy home office makeover. 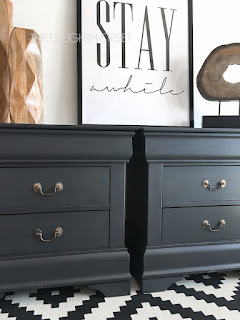 Thirty Eighth Street shared a great post on how to transform second hand furniture. 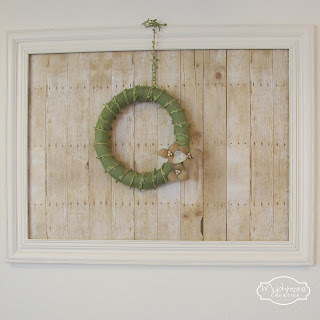 Muchmore Creative shared a great way to create a DIY rustic picture frame. 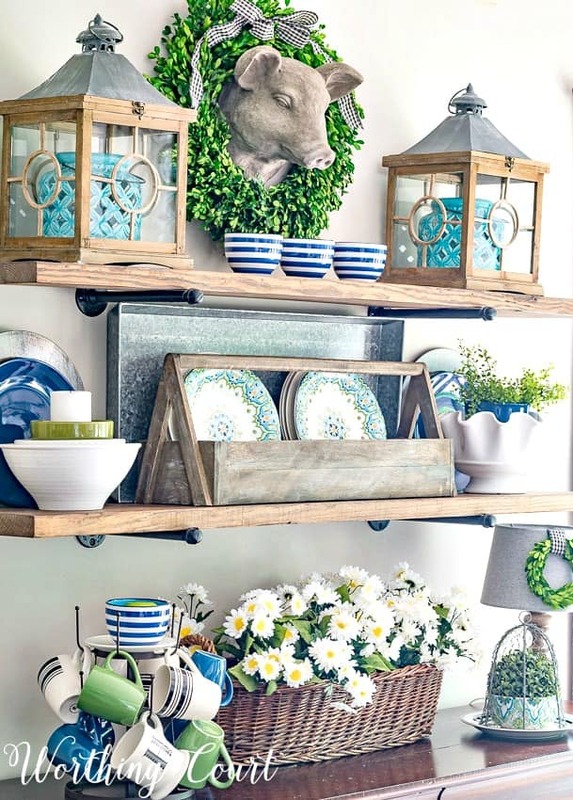 I love the colors in this easy summer rustic Farmhouse shelf decor by Worthing Court. Crafts Unleashed shared a great tutorial for making this DIY pot topiary. 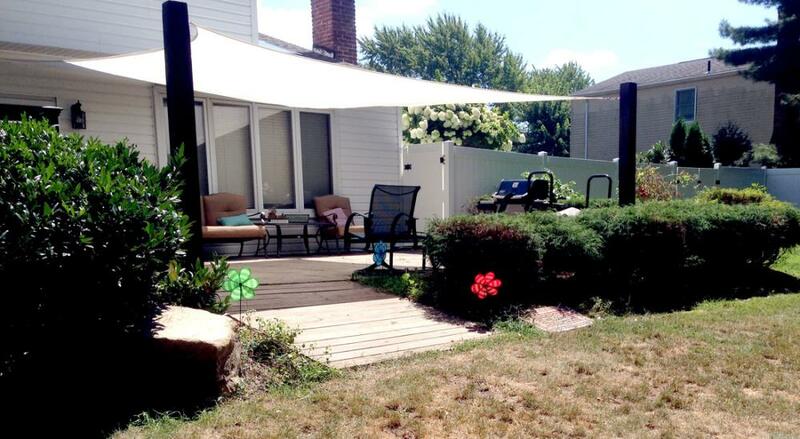 Dazzle While Frazzled created this fantastic patio side table using an umbrella stand. 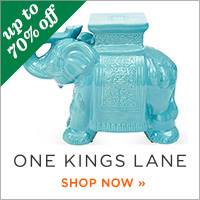 Need some summer shade? Just Measuring Up shared a great way to create some by creating a shade sail! I love this idea! Somewhat Simple shared a great foil wrapped recipe for making Bruschetta Chicken. Rae's Books & Recipes shared this yummy Cheddar Bacon Dip. 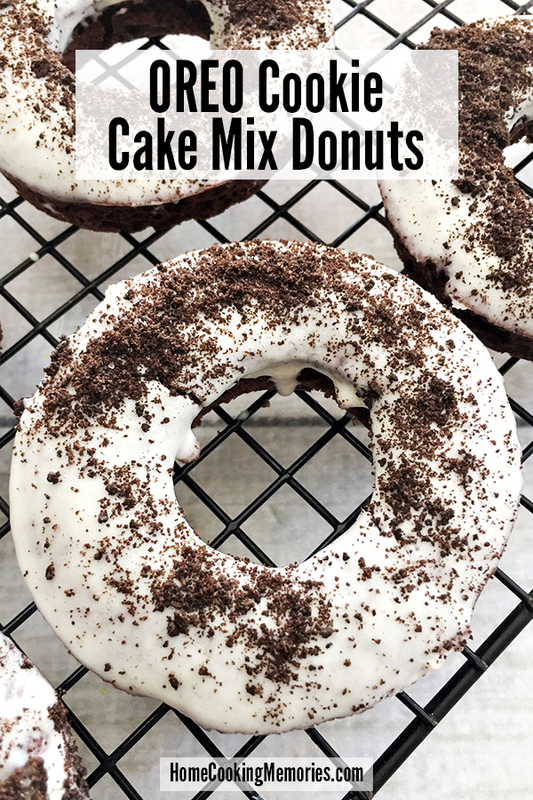 YUM, Home Cooking Memories shared these Oreo Cookie Cake Mix Donuts. Oh my, these Double Chocolate Skillet Brownies by Strength and Sunshine look amazing! 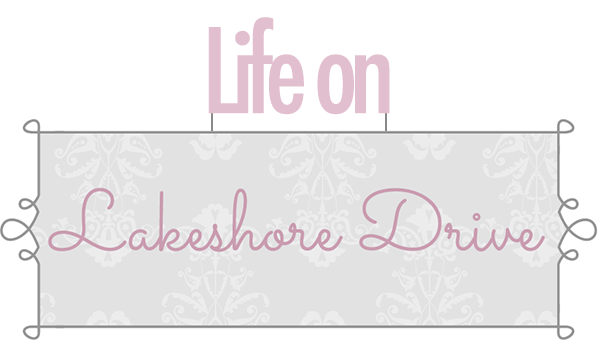 The featured blog this week is Momma D Jane with her Salted Caramel Pretzel Extreme Shake. That looks so delicious! Wait til you see what is in this! YUM! 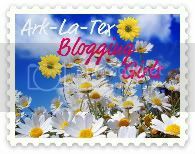 You can find many more great recipes on her wonderful blog. Wow! I know you're excited with just five days of school left! Thanks so much for the parties and hosting! 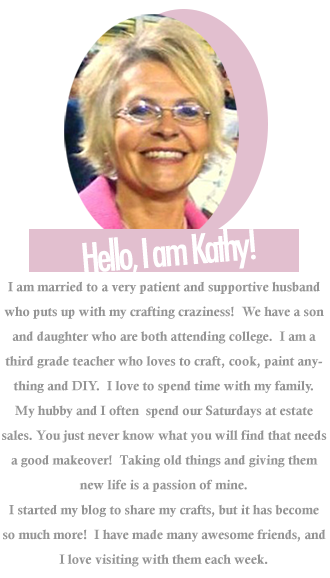 Have a wonderful summer, Kathy, you deserve it! Hi Kathy, thank you for the party! Thanks for hosting and have a great week!! 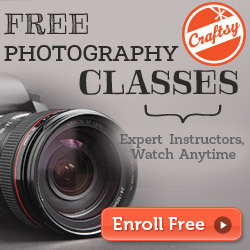 Thank you for another week of hosting! Hope your weekend is relaxing. Thank you Kathy for your 246th Bouquet of Talent, always a pleasure to visit and join in.